Marc Jacob's Daisy Love is a safe bet of the scented kind. An ode to the Marc Jacobs iconic Daisy, Daisy Love is a beautiful gourmand EDT that features top notes of cloudberry, heart notes of daisy, and base notes of driftwood and cashmere musk. It is a suits-every-gal fragrance that has great projection and lasting power. It is available in 30ml, 50ml and 100ml bottles (from feelunique.com), helping suit a variety of budgets! If your teen loves to keep her nails on fleek, opt for the Nails Inc Paint Your Nails Happy Gift Set. 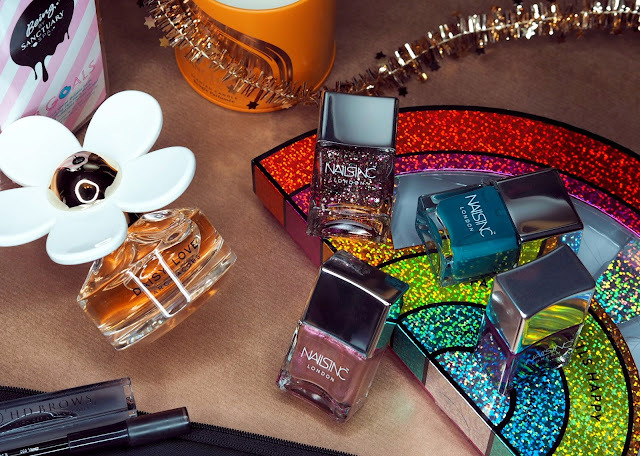 It is a glittery rainbow box that houses four limited edition polishes, each formulated with a patented long wear system and non-drip brush for flawless application! The shades include Soul Fuel - a full coverage creamy teal, Everyday Happiness - a full coverage creamy deep mauve, Crazy Is My Currency - a clear base multi–glitter rainbow shade, and Live & Love - a baby pink foil packed with fine glitter. At £29 (from very.co.uk) it is a steal, especially considering each Nails Inc polish is £11! If you're working with a smaller budget this year, I recommend the Being by Sanctuary Spa Tub Goals (£15 Boots). This popular pampering set gives a girl everything she needs for the ultimate bathing experience. It includes the brand's gorgeously scented Hibiscus & Coconut Water Bubble Bath (50ml), skin-saving Exfoliating Jam Face Mask (75ml), body puff and - most importantly - inflatable donut drink holder. After all, who doesn't need a drink bobbing about in the bath?! Another great affordable option from Sanctuary Spa is the Signature Scented Candle (£12.50 Boots). Every girl loves a candle and this floriental fragrance one-wick candle is no exception. It opens with a sparkling citrus accord and features an elegant floral heart that contrasts beautifully with a musk and oriental base. Next up is the perfect present for girls that love to pamper and preen. 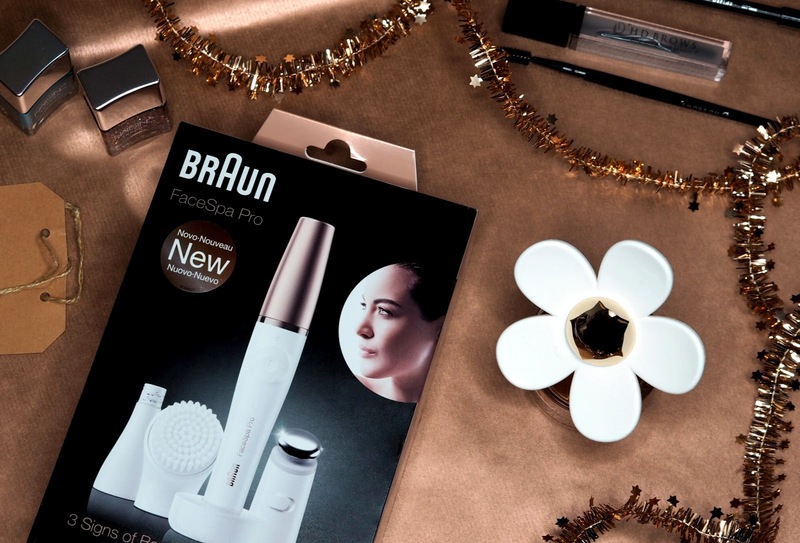 It's the Braun FaceSpa Pro 911 (£129 amazon.co.uk). The Braun FaceSpa Pro is the world's 1st 3-in-1 facial epilation, cleansing & skin toning device and it's pretty impressive. Its sleek and compact design enables precise epilation (its 10 micro-openings catch even the finest hairs - 0.02mm), while its facial cleansing brush gently but deeply cleanses the skin with micro-oscillations (it actually cleanses six times more effectively than manual cleansing!). Four different brush attachments come with the FaceSpa; a normal brush, extra sensitive brush, exfoliation brush and beauty sponge. Everything a gal needs for the perfect cleanse! It has been dermatologically tested and can be used on sensitive skin. Talking of body hair, teenagers love nothing better than over-plucking their eyebrows. However, when they reach their late teens, they regret their previous plucks and start longing for bushier brows (at least my 19-year-old-self did!). If you know any teens in this predicament, I can't recommend HD Brow's Grow Baby Grow (£50 hdbrows.com) enough. It is the perfect gift for getting brows back! 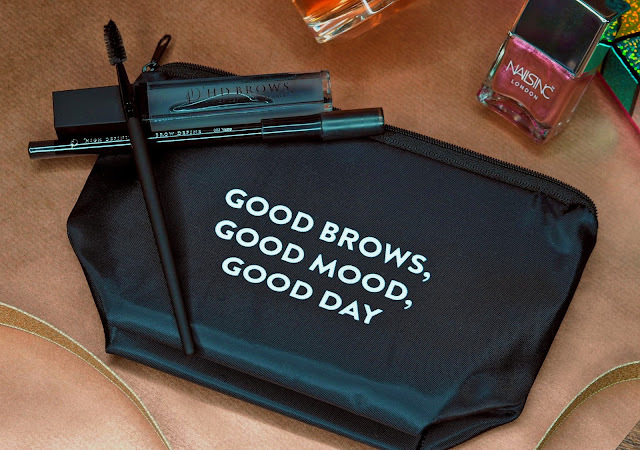 It features the amazing Lash & Brow Booster - an eyebrow serum enriched with clinically proven ingredients to help you achieve fuller looking brows. A long-lasting brow pencil is also included (featuring a handy built-in sharpener), as well as a spoolie brush, to keep those hairs in place while they’re growing back. My final gift suggestion is perfect for those teens that have jumped on the crystal healing bandwagon. 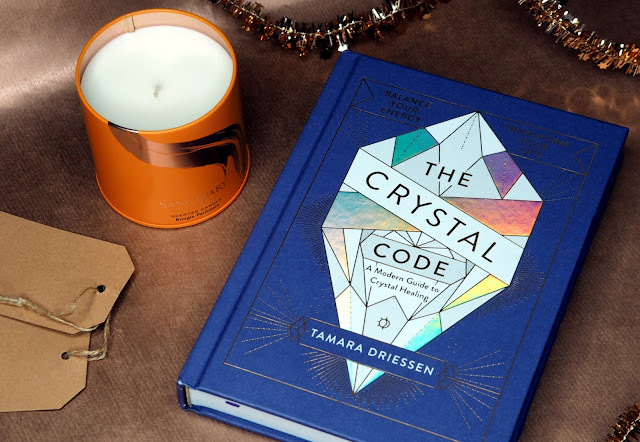 It is The Crystal Code - a modern guide to unlocking the power of gemstones and crystals. It gives the low down on 70 stones, helping you find the perfect crystal for your needs. It also teaches rituals, meditations and crystallized self-care routines to enrich your life - whether you want more confidence, interview success or hot date. No bad for £12.99 (amazon.co.uk), right?! If my beauty options don't float your boat, head on over to feelunique.com. This site is the holy grail of online beauty stores, stocking many of the world's greatest beauty brands, as well as some pretty impressive exclusives. If you want to forget beauty altogether, check out firebox.com. There are so many products a teenager would love, it's impossible to mention them all. However the drag queen socks, unicorn onsie, Polaroid camera and make your own neon light kit are some of my favourites!